The 2007 Nashville reunion was again one of the best attended reunions in the history of the USS Goldsborough Association. 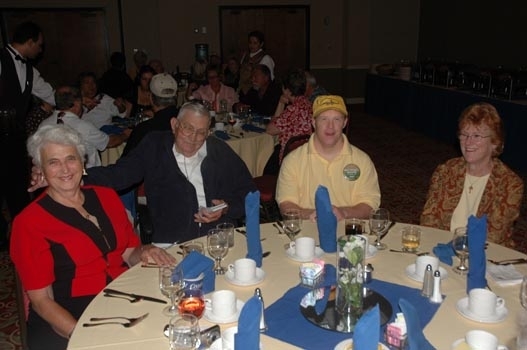 Jack Maguire and his team put together a reunion that was well organized, conveniently located and provided a wide variety of activities for everyone’s taste. We had a large group who attended the pre-reunion Grand Ole Opry program and we were one of the last groups to see the legend Porter Wagner live on stage. We also had more on-site registrations than ever before, with seven people showing up to enjoy the reunion without pre-registering. Each year we have more shipmates attend the reunion and the 2008 reunion I feel will provide us with another reunion that should go down in history for attendance and for the unique opportunities it will present. Annapolis will be the host city and with side trips to Washington, DC, the Naval Academy and Baltimore’s inner harbor it should again be a reunion to remember. Check out the web site for more information right after the New Year for details on the 2008 reunion. Please make every effort to attend as many of your shipmates will be waiting to share memories, Sea stories and other things you probably almost forgot about and never wanted your wife to know.